Finding easy ways to make money fast is something I hear about a lot. How do you make extra money from home that anyone can do, no matter if you have a high school diploma or a college degree? 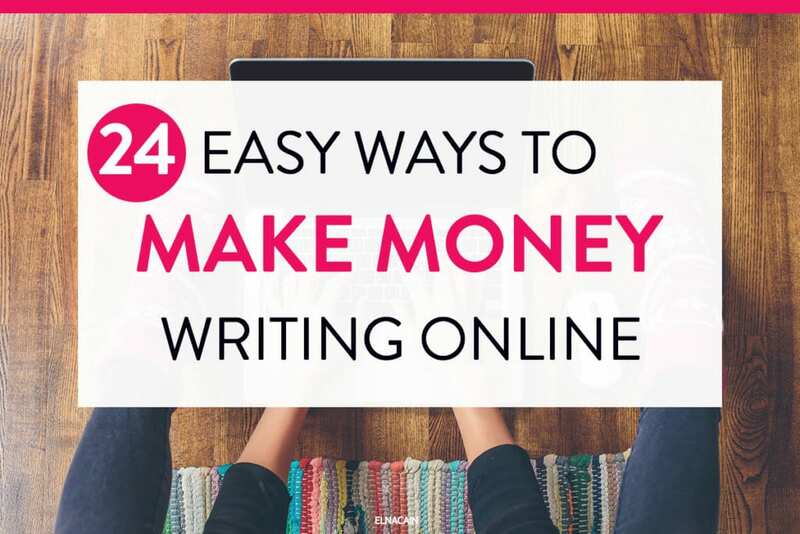 Writing online is the BEST way to earn extra spending money. All things online begin with writing content. If you’re a great writer, why not use that skill to find ways to make that extra $100 a day? In this post, I share with you 24 ways to make money fast. A lot of them focus on your writing skills, while others focus on your blogging skills and even your marketing skills. And even if you’re in debt or just quit your job (or just fired! ), this list may help you out in making $200 or more in a couple of days. Now, when I say fast, I don’t mean immediate. Some of these ways are shorter than others, but when you think about your parents and how they may have lived paycheque to paycheque, making money fast online is….fast, even if it’s a few months or more! These ways are essential to help you make money online. Okay! Let’s get to it! This will be your #1 way to make a living online. I’ve been blogging for four years now and I even have more than one blog. Why? Because blogging can help you make money fast. A lot of these ways won’t happen unless you start a blog. I have a handy and easy tutorial on starting a blog for your business, so make sure to check that out! If you’re unsure about what a blog is – a blog is a way to express your thoughts and teachings online. You use a platform like WordPress.org to have a self-hosted blog. With a self-hosted blog you can start making money online. After you created your website, you can pick a WordPress theme and create pages on your site. For this site I have an About page, Courses page, Contact page and Blog page. Every blog should have an About page and a Contact page. You can use a free template to get started! With your pages and theme set up on your WordPress blog, you can start writing blog posts for your audience. This blog can serve as a way to market your service and it can be a way to blog for an audience. For example, Elizabeth of Worth Writing For is a Writeto1k student. 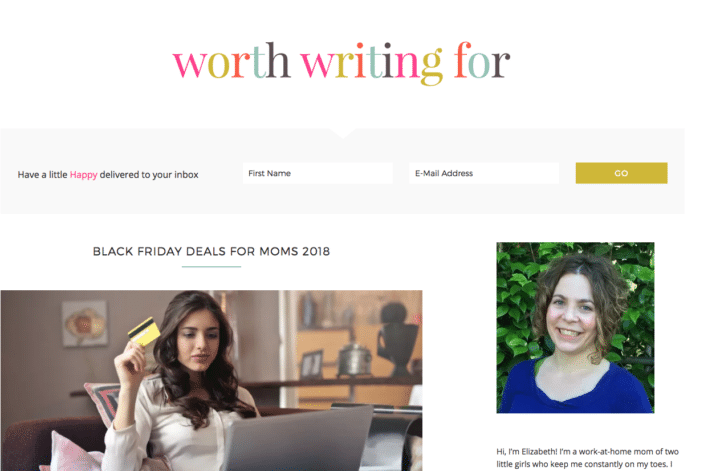 She has a parenting and mom blog, but also offers her freelance writing services. So, think of your blog as your online platform to try monetization strategies as well as support your online writing business. Another fast way to make money in 2019 is to start getting paid to guest blog. Guest blogging is when you have your blog post on someone else’s blog. For example, FreelancerFAQs is a contributor blog. Writers pitch their blog topics to me and if I accept them, their post is published on my blog. While I don’t pay for that content there are hundreds of contributor blogs that do pay for content. How do you find places that pay for guest blogging? There are many blogs that round up sites that pay. You can search for that term in Google to help you get more ideas for guest blogging. Once you find a place to pitch to, make sure you read the blog content and get to know their style of writing. From there you can craft a pitch that’s more personal since you’ve read their blog. Once the owner accepts your pitch, they may also tell you about their payment process. Some blogs only pay for traffic. So if your post gets lots of shares, then you will get paid accordingly. Other sites, pay for your writing only, but some may take months to pay you. Usually magazines and publications have a longer payment schedule, so don’t be alarmed! One thing to remember when pitching your blog topic is to not switch topics after you’ve been approved to write the article. The blog owner approved your pitch topic, so you have to deliver that blog topic to them to get paid for your writing! Make sure to ask anyone! Students in my Writeto1k course have had success asking at their child’s school! The school playground! My BEST job came from a school playground contact. On a school bus while on a field trip… I was talking to the English teacher, and he asked me did I enjoy the play the students saw… well the conversation lead to me eventually talking about my freelance business. Turns out, he needed someone to edit his thesis paper for his master’s degree. School is a great way to find work since there are many teachers and even parents to ask! You might get editing work, copywriting work or even resume writing work. So, before you drive away after picking up your child from school at the end of the day, stop and talk to the teachers or principals or other parents and see if they need some freelance writing work! Okay – job boards are places where content marketers and business owners post for writing jobs. I used job boards to help me find writing gigs and it’s an easy way to make money. Most job ads start around $40-$50 a post and if you can show your value and worth to potential client, you can get paid more. While there are scams in job boards, just know that most ads are good quality ones. The best job boards are ones that have new gigs every day. I personally have used this one as it’s been the fastest in helping me find the exact writing gigs I want. When pitching to job boards, you can craft your pitch more personal by searching for the business that posted the ad. Get to know their content and what they are selling. You can even find them on Twitter or LinkedIn to get even more information about that specific business. And one more thing – make sure in our pitch email to mention where you saw that ad as a way to help that business owner know which platform gave him the best conversions (and to help you see which platforms gave you the most gigs). I use affiliate marketing on this blog and on many of my other blogs. If you don’t know what it is, affiliate marketing is a method where you promote a product, service or tool to your blog audience. You get a link to promote that product on your blog or on social media. If someone clicks on your special link – and buys – you get a commission. The easiest way to make money is to start using Amazon affiliate marketing. They have thousands of products that you can promote on your blog. To help you get started, I have a video that walks you through how to make your first affiliate sale. 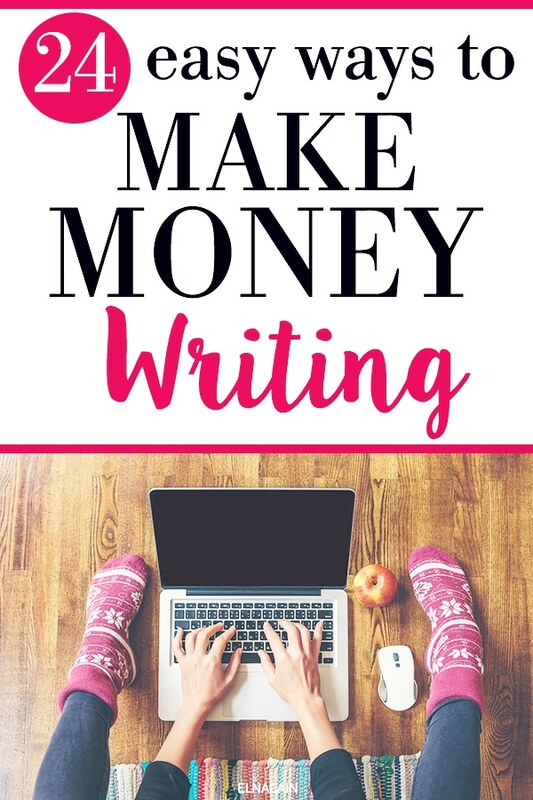 Congrats if you are already making money online as a writer! That’s a big feat! What you can do know is leverage the clients you already have for more work and income. Referral business is the best way to gain high-paying clients and boost your income to help you work from home. Bloggers online have network of other bloggers doing the same things. Those other bloggers probably need writing too. If you can get in your client’s circle, there will be no shortage of work. This has happened to me several times and it’s a passive way and easy way to make money fast. Now, what if you don’t have any freelance writing clients? What do you do then? Well, why not use other freelance writers? They may need to sub contract work or they may have jobs for you! Other freelance writers can also help you with your writing skills too. Both of you can edit each other’s writing or help improve each other’s writing! In any case, you have to think about this as not a competitive industry. Other bloggers or other freelancers can help you with making money online. Did you know that many successful bloggers have more than one blog? Yup! Last time I checked, I have five active blogs that I’m either writing for or managing. 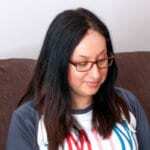 Other blogger like Create and Go have two blogs – their health blog and their teaching blog. If you want, you can have a writer website – like I do – and then a personal blog like I have with Twins Mommy. Many writers are creatives and we all have different ideas floating around. Use that inspiration to start another project as a way to make money fast. With a second blog, you’ll know what to do and do it quicker, giving you an edge to others who just started their first blog. 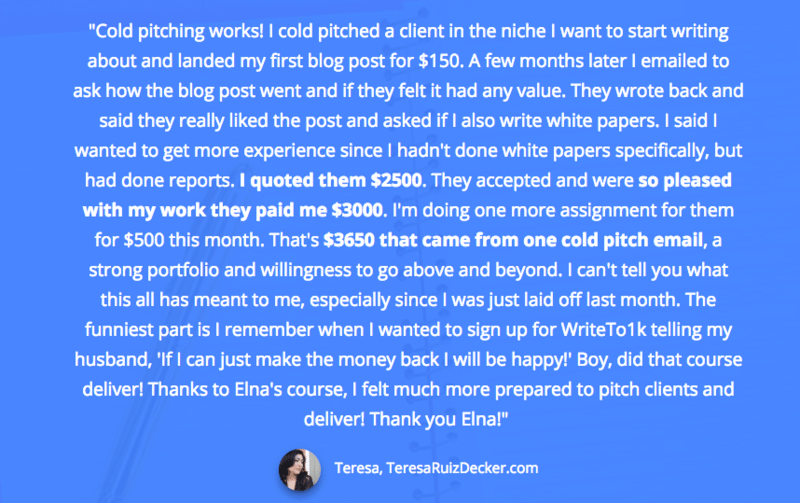 Cold pitching is the idea of finding a business online and pitching directly to them that you’re a freelance writer for hire. This business isn’t actively seeking a content writer, so your email is a cold email. Many writers have had great success in making money fast this way. Course student Teresa was laid off the prior month, but was able to generate $3650 in cold pitching! For more help on your cold pitching strategy, check out this guide. Are you seeing a pattern? To make money fast you need to offer more than one thing or do more than one thing. 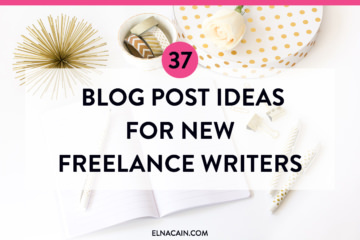 Why not offer another service besides freelance writing? The list can go on and on! Find another service you’re good at and market that as well. Just like cold pitching, why not reach out to specific entrepreneurs that you follow? You may notice that they are having trouble with certain business tasks like email management or replying to blog comments. Why not offer your virtual assistant services and pitch to this entrepreneur asking if they need help with x,y or z? Reaching out can seem very anxiety-provoking, but it’s just an email and if you don’t hear back from them, just move on! No loss to you! As a writer we are creative, right? You can tap into your creativity to make money online. Use your skills with writing or creating graphics or optimizing your content for more clicks to help you get some extra spending cash. From ads to video tutorials to even starting a Facebook group, these creative ways can help you earn $100 a day or more. An easy way to get at least $500 a month is by placing ads on your blog. This strategy relies on blog traffic and to see some form of income, you need at least 25,000 sessions on your blog. I use Mediavine for two of my blogs and I’m consistently earning $500-$1,000 a month just from ads. To help you reach your first 25,000 pageviews, check out my post on blog traffic tips. Use opportunities in your day to make money offline. Anywhere you go and the people you meet can all be opportunities for work. Go to the gym? See if they have a website and ask if they need someone to spruce up their copy. It’s that simple. At the wine store, the dentist, or your local grocery store, you can step out of your comfort zone and ask if they need a writer. I know it can be daunting and a little anxiety-provoking, but if you don’t take action, you’ll never land work, right? Some local places to take advantage is from previous work. A lot of new freelance writers get their break by doing freelance work for their previous employer. Doing it this way, makes leaving work behind a much easier transition. If you know your work has a website, email list or works with other clients, go ahead and tell them you’re looking for some freelance writing work and wondering if they need a writer of if they know someone. Another area is your business district. Many towns and cities have a business district. This is a a great way to meet a lot of businesses from different industries. Take some time and walk the pavement and visit these establishments. Call them beforehand or just walk in and strike up a conversation. Going local is an easy way to make money fast and shouldn’t be ignored for 2019! 2019 is all about video marketing. More and more businesses and bloggers are using video to help them make money fast. How? People have short attention spans and video is a great medium to pack a lot of info in an easy to digest format. Something you can do is offer video tutorials for entrepreneurs or bloggers. This is someting I have done and clients are impressed by this skill. You do need some equipment to start doing proper video tutorials, but once you have that in place, it’s easy to create. You might be thinking – wait, this isn’t a fast way to make money? Well, it can be! 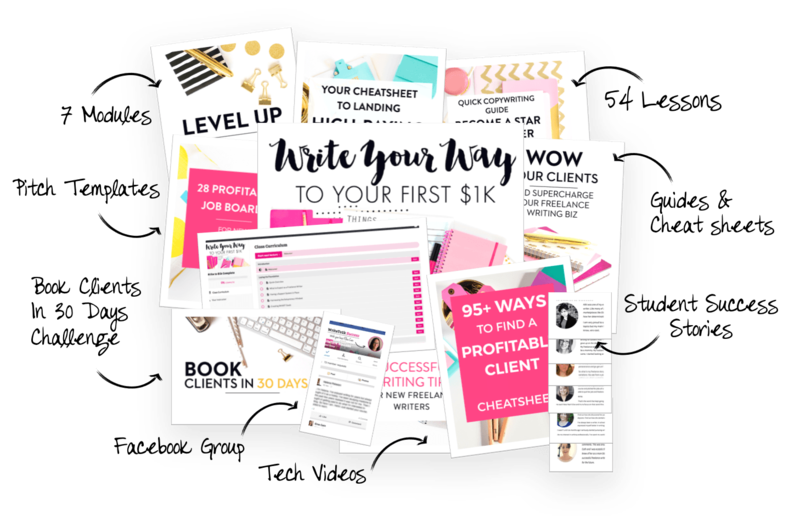 Many bloggers can create an eBook or printables in 30 days or less! That’s pretty fast to me. If you have an idea for a course, masterclass, printables or things like that, why not sell them on your blog? It does take a bit more thought to execute this monetization strategy, but well worth it in the long run. One of my main methods for making money online is my course sales. It frees up my time since I’m helping groups of people rather than 1:1. If you’re interested in creating a course, you can use Teachable to host your course. Before I offered my freelance writing course, I did coaching. I mentored brand new freelance writers on getting their business up and running as well as help them define their niche and find gigs. I loved helping new writers, but it did take a lot of time out of my day. I was writing for clients and then doing coaching calls into the wee night. But, if this is something you feel is easier than creating a product, why not try it? Set up a page on your WordPress blog and email your list that you are offering coaching services. You can also market in Facebook that you have this new service! An easy way bloggers make money fast is by doing sponsored content. 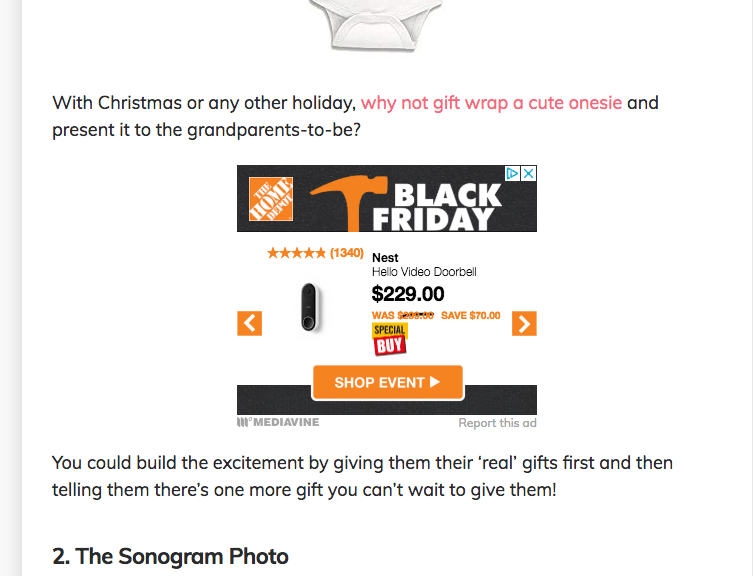 You can do sponsored content on your blog or on social media! 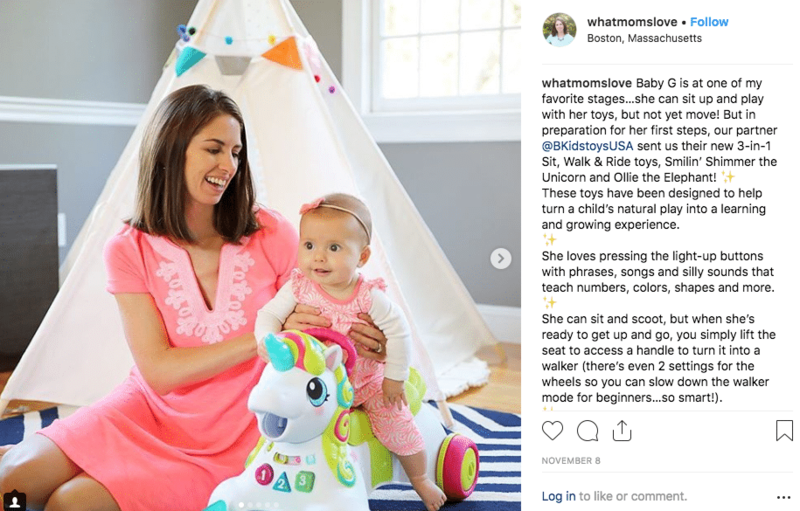 What Moms Love does a lot of their sponsored content on Instagram! To make this work, you need to take stellar photos of the sponsored products you are using to really see some cash. Aly from What Moms Love generates around $20,000/month from sponsored content. Having your own Facebook group is a great way to grow a tribe of followers. These are the people that will invest in you and eventually buy what you recommend. How do you get started with making money using Facebook groups? You have to create a community that is for your audience. From what you name your group to what daily posts you create, your group has to be authentic and wanting to learn from you. If you position yourself as the authority in your niche, then your audience will pay attention to you and buy from you. I have a Facebook group for mom bloggers that I use to share my expertise in blogging and digital marketing. Caitlin Bacher has some great content on how to promote your business using Facebook groups. Check it out! 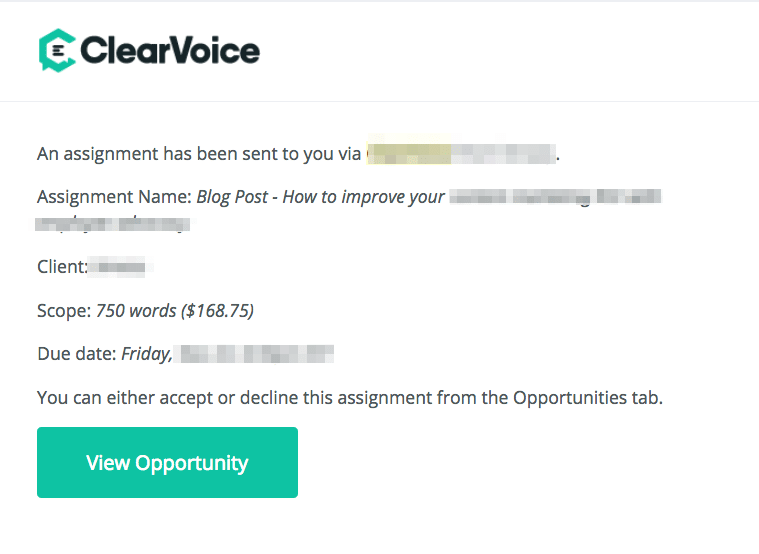 ClearVoice is a content marketing platform where writers can create a portfolio and get leads in their inbox. Essentially, ClearVoice will email you gigs! This is absolutely the easiest way to start making money fast. Fill out your portfolio and have some writing samples to share and set your rate. From there ClearVoice does the work in matching clients to you! As a writer, why not write a book? You can market it on Amazon and promote it on your blog. It’s the perfect way to get paid for your writing! Writing a book or an eBook doesn’t have to take a long time either. Give yourself a deadline of 30 days to write a book and then self-publish it! This is also a great way to show your credibility in the freelance writing world! Do you ever check your spam folder? I’m guilty of not checking very often. I get so many emails in a day that checking my spam isn’t a priority. But, if you’re new to freelance writing and are pitching your little heart out, then make it a habit to check your spam folder. I was sitting here bummed about not getting any inbound leads since hitting first page of Google 2 weeks ago, then it hit me to check my spam folder…bam! 5 messages! They all came from people filling out the form. Her suggestion is that if you have a contact form on your site, to check your spam folder periodically. It can result in long-term work. Having an email signature is a great way to jog the memory of prospective clients. But, it also works for landing freelance work. When you create that email signature, any email you send will have it. So whether you send an email to a blogger friend or to a company, each email will be marketing your services, increasing your chance of work. I got a job offer by emailing a WP theme company I used to tell them I loved their product. They saw from my signature line I was a freelance writer and asked me to do some work for them after checking out my portfolio. 24. Guest Posting – for Free! I landed a gig by guest posting for free. I never thought this was a legit way to make money fast, but it is – it’s just an unlikely way. The blog owner accepted my pitch and I wrote the post. She then asked if I would be interested in graphic work and I said yes. Then she emailed me again and asked if I wanted to write some posts. And she did hire me to write some ghostwriting and byline posts. 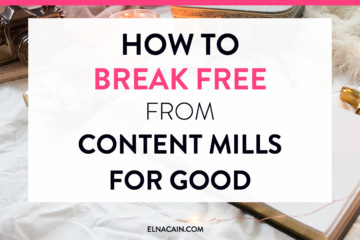 So, make sure your guest post is stellar and be professional when you email the blog owner. Look – I know there are many of you that just want to quit your job and make some extra spending cash or a $100 a day. Writing online can get you there and more! I’ve been doing this for four years now and every year I make more and more money doing what I love. Have the freedom to enjoy life and capitalizing on what we have – the internet! Now is the year to really sit down and make a plan for your side hustle journey. Whether you’re a mom or parent or college student, you can easily find a way to make money doing what you love. Your plan should consistent starting a blog, marketing your blog and improving your writing. There is a process and you can make money fast. You just need a plan and you need to stick with it. Let me know in the comments your plan to make a living writing in 2019! Your article is different. Thumbs up for this. Everyone is talking about Survey sites and PTCs to earn money and you pointed some real but distinguished channels to earn money. Yes I know! I visited those sites to see what they were writing about. I have a different perspective since I’m a writer & marketer 🙂 I’m glad you enjoyed these creative ways to make money online! Elna those were some really awesome tips on how to blog to make money. I just wanted to also share with you something I have tried that has made me a passive income as I am a stay at home mom with a special needs child. I use this system that has been really awesome for my wee family have a look and maybe you can write something about it 🙂 Take care and keep up the awesome work. As always, you graciously share such useful information. 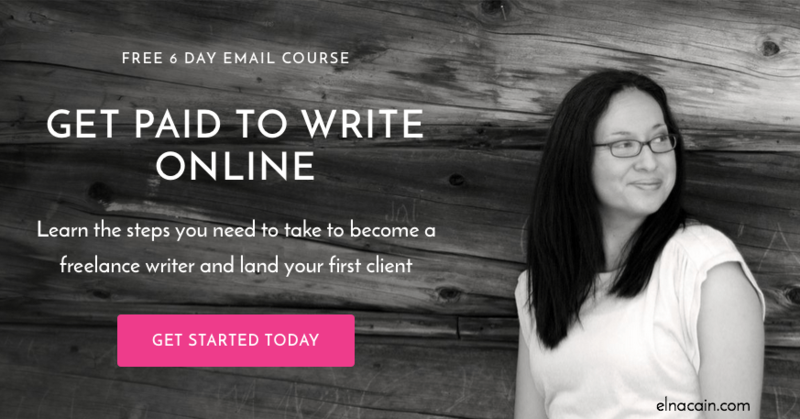 I can say that your Write to 1K course is super helpful and finally got me into action mode, yay! I also subscribed to Contena and although it seems expensive, it definitely has more quality leads so it looks like the investment will be worth it. I think it’s already starting to pay off. Thanks so much! Yes, Contena can be pricey but I love how everything is there and the leads are vetted! Thanks for stopping by! Fantastic article. This helped me a lot! As its a new year, I am currently looking for a career change and this has certainly opened my eyes. Thank you for the insightful article! Thanks so much for stopping by! Good luck on changing careers! Online writing is a great gig to have! 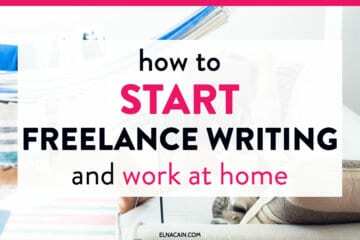 Thanks, Elna, for so many ways to earn money fast as a freelance writer! And all in one place. Be assured that I will be referring to this post a lot! I hadn’t heard of Clear Voice before, is it similar to Contently? Clear Voice is different than Contently. You fill out a profile and rate in Clear Voice and they will email you leads that fit your rate!